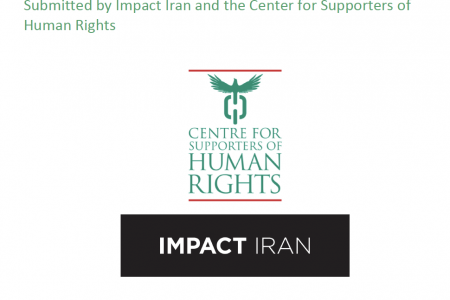 The current submission was prepared by Impact Iran and the Center for Supporters of Human Rights (CSHR). This submission is on the rights of persons, notably children, disabled by landmines in the Islamic Republic of Iran. Primary sources of information in this submission are lawyers and activists inside and outside of Iran that advocate for persons disabled by landmines and their families. No one involved in the preparation of this submission, however, is themselves a person disabled landmines or a victim of landmines. Impact Iran (impactiran.org) is a human rights advocacy coalition launched in January 2014. The coalition is composed of 14 organizations based in seven countries, all working to advance human rights in the Islamic Republic of Iran in various capacities. Through advocacy campaigns aimed at United Nations member states, UN mechanisms, and other high-level human rights discussions, Impact Iran strives to elicit action by stakeholders that promote respect for international human rights standards in the country. Impact Iran is a project housed at the City University of New York – Brooklyn College. The Centre for Supporters of Human Rights (cshr.org.uk) is a non-profit non-governmental organization incorporated in the United Kingdom in 2012. Dr. Shirin Ebadi, 2003 Noble Peace Prize Laureate, is a founder and the Chair of the Centre. The primary aim of the Centre for Supporters of Human Rights (CSHR) is to improve the lives of Iranians in Iran through human rights awareness raising, education, and empowerment. CSHR is a member of the International Campaign to Ban Landmines and its staff includes leading experts on Iranian landmine-related policy and law. Central to Impact Iran’s mission is working with Iranian human rights defenders, experts, and lawyers to produce submission to the various UN human rights mechanisms. In this regard Impact Iran in partnership with Center for Supporters of Human Rights, and other coalition members, have been active in alerting UN bodies to breaches in rights of persons affected and/or disabled by landmines and other unexploded remnants of war in Iran. The UN Committee on the Rights of the Child, for example, made concluding observation the issue in its most recent review of Iran after Impact Iran and CSHR submitted relevant information to them.